Our Tuft & Needle giveaway is now closed, and we’ve emailed the winner with additional details. Thanks to all who participated! And if you didn’t win, keep your eyes peeled for another giveaway coming later this week! Can you believe it’s August? The year is flying by. I’M EXCITED FOR FALL!! Ahem, I mean, fall should be nice. Speaking of fall/Christmas, a couple of nights ago, I was perusing discounted Christmas decorations online. Totally normal, right? Johnny walked up and told me it was very weird and that he never wanted to see me looking at Christmas stuff on August 1st again. I told him it’s my last chance to get a few more Christmas decorations before they start selling them full price again. If you ask me, he’s the weird one — for not being so proud that I think ahead like that. Me, weird?? NOPE. But back to August. It’s here! And so is our August budget. This is an important budgeting month for us. In the spirit of full disclosure, July was kind of a bust for our budget. Okay, that makes it sound worse than it was. We still saved a decent amount of money, but we spent more than we should have. 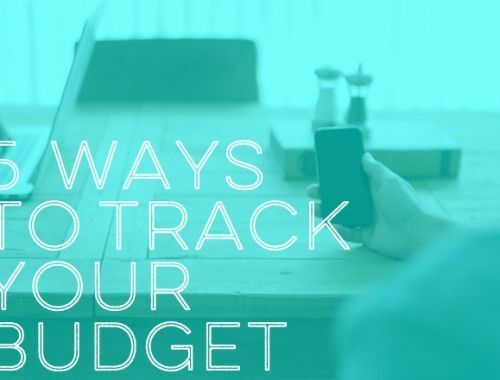 We took two trips (to DC and Vegas), and we lost track of our budget tracking (imagine that!). So we had to wait until the end of the month when Johnny tracks our net worth, holding our breaths while crossing our fingers and toes that we’d still done okay. We hadn’t bought anything out of the ordinary, but we still hadn’t kept track. Anyway, we hate that feeling, so August is a chance to get back to our usual routine of tracking each and every cent. 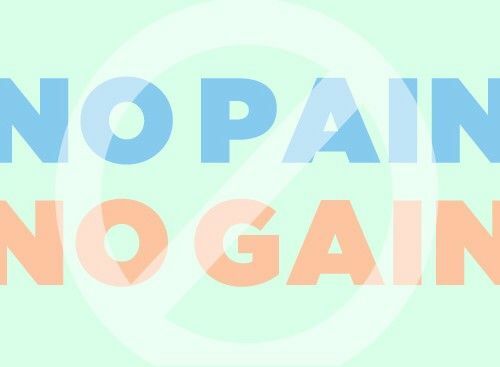 Savings: If we stick to our budget (which we intend to do), we’ll save about 50% of our net income (which was one of our New Year’s resolutions). Retirement Savings: Currently, since neither of us has a 401k option, we’re just maxing out our Roths each year. Our Internet/Cable subcategory is pretty low because we now have Google Fiber (which is free), and Johnny got rid of the sports package from Dish. If he tries to sign up for that thing again, you better believe it’s coming out of his personal money. Our Personal spending category has gone up some since we decided to include clothing as part of personal spending this year. That said, Johnny and I have bought almost no clothing at all this year since we’ve decided to put our personal spending toward rock climbing gear instead. You pick and choose, I guess, so we’re currently very poorly-dressed rock climbers :). Our Gifts for Others category changes from month to month. We have two family birthdays this month, and our gift budget for a family member’s birthday is $20 each, bringing the total to $40 for August. Rather than budget every single item out, we have an “Everything Else” category, which you can get the scoop on here. Our Savings category is being used for our house fund, as well as general savings. You don’t have to look closely to see two glaring categories missing from our budget: Sally’s 529 and Life Insurance. We’ve yet to pull the trigger on either one, but when we do (which should be very soon), you better believe we’ll share the deets. Also, I was looking at our 2013 August budget, and it seems July was a bust last year, too. So I blame July. The scorching temperatures affect our financial savviness. How’s your monthly budgeting going? 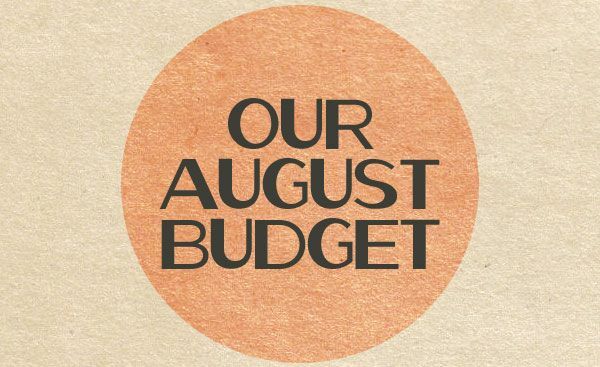 How does our August budget line up with yours? Hi Guys! August is looking pretty good budget-wise for us. June was our busted month where I had to buy some unplanned things (new tv and computer monitor for my wife when we took a power spike which fried the old ones – boo!). Anywho, that’s the way the cookie crumbles sometimes – Murphy’s Law in action. Expense-wise, things are pretty well under control. Some of our expenses are quite a bit higher than yours – hydro, electricity, house taxes & insurance, “everything else” (as you call it) – but our incomes cover them pretty well. So all is good. Do you have health insurance? A few year ago we were spending almost $20,000 (!!!) a year for family insurance in NYC. Now I have private, my husband doesn’t have and my kids are on subsidized government programs snd we still pay about $10,000 a year. Any advice?? When we were on my company’s insurance, we were paying about $4,500 a year for the three of us, but now we’re on my husband’s insurance, which is about half of that. It comes out of his paycheck before we ever see it, so I didn’t add it to the budget. That’s downright unacceptable that you were paying so much for insurance a few years ago. Even still, $10k is no small amount. I thought that’s what Obamacare was supposedly solving… our insurance system is really messed up. I don’t have any specific advice now, but Johnny and I will try to do some research and do a post on affordable health insurance soon. Thanks for your perspective, Sara! Sooo jealous of your insurance! My husband and I are still under 25, so the cheapest insurance we could find is about $130 a month! He turns 25 in 6 months and I am literally counting down the days! And I have to comment on how I love that you give each other $65 of personal money. It’s a great way to keep everyone happy! We’ll try to do a post soon on how we’ve gotten inexpensive car insurance! I wish our bills were as low as yours… (Utilities anyways…) we’re in Canada and ours easily double your numbers…. our hydro keeps on skyrocketing no matter what we do. Ontario is not very happy about that right now! I need to get my numbers down on paper, but it’s harder in the summer…. lol! We have a homestay girl with us from Japan and do a lot of extra activities. So summer is spendy for us… all the same, my goal today is to get a budget down on paper for the month again! I don’t comment often, but really like your blog! I live in Canada too (Victoria, BC). I read all the blogs posts and wish things were cheaper here too. Food, utilities, housing, etc it’s all so much more expensive here. Don’t get me wrong. I love Canada but budgeting can sure be tough in a country where everything is so expensive! In Canada’s defense, we live in a fairly inexpensive part of the US… when we lived in NYC and Boston, the cost of living was about 125% more expensive!! I’m sure when we become homeowners, our utilities will go up significantly, so we’re trying to enjoy it while we can! Some areas of the country have expensive water, while others don’t. It’s just kind of the luck of the draw here. And good luck getting your budget down on paper. It’s like running for me… I never feel like doing it, but once it’s over, I’m glad I did! Hooray for three paydays in one month!! I always loved when that happened when I was working. Good for you guys for taking advantage of it! I get disgusted when I see our dining out budget some months. $250 for groceries and $200 for dining out. for 2 or 3 meals out translates into 20-30? meals in. Maybe more. But it is nice to get “out” sometimes.. We spend more in the summer trying to pack it all into our nice days. Thanks for the budget update. Agreed… We had only a $100 eating out budget when we were paying off our debt, and it was kind of ridiculous how much I was cooking. And we didn’t have a dishwasher at the time either, so that was fun. $200 is twice as much, but it sure does help me get a break from time to time! Looks great! I’d recommend pulling the trigger on life insurance soon, we don’t even have kids yet but I feel better knowing it is there if the worst would happen, and it is so much cheaper to get while you’re still young and healthy. Thanks, Anne! Good points! You’re right! I want to hear about your auto insurance!! $30? I have a 2010 Honda Civic and a very clean driving record and mine is about $68/month-more than double! Maybe because I’m in Pennsylvania? Also your cell phones are cheap!! For two phones, we pay $150ish. Also…future article idea…you guys are maxing out your Roths…I am doing the same as you–maxing out my Roth. Have you done those calculators where it tells you how much you ACTUALLY should be saving? It’s shocking how much they tell you to save. I also think the tithing is very interesting…I’m Catholic, not very religious, but the idea of people giving 10% is very interesting and so generous….. it always piques my interest! Also–you guys are aiming to save 50% of your budget??? WOW. I’m impressed. Some months I achieve savings 30% and I’m pretty proud of that. 50% is AWESOME. Cool to see other people’s budget! I, too, thought the car insurance and cell phone rates were enviable. Johnny will do a post on our car insurance soon… we have pretty minimal insurance, and we only have one (inexpensive) car. And love your other input (knowing how much you need for retirement, tithing). Thanks for sharing! I hear ya on the groceries. If I don’t track our groceries super carefully, we go over no matter what. Thank goodness for new months and a chance for a clean budgeting slate! Saving 50% of net income is really impressive. If your net income is $5170 per month ($2585 x 2) on one salary, you are doing really well considering how cheap the cost of living is in Utah. I didn’t realize advertising had such good salaries! I should consider moving to Utah since my net income is similar, but I can’t find rent for $1300 in the bay area. You’re talking a minimum of $1800 for a small 1 bedroom. More like $2200 for a reasonable 1 bedroom. 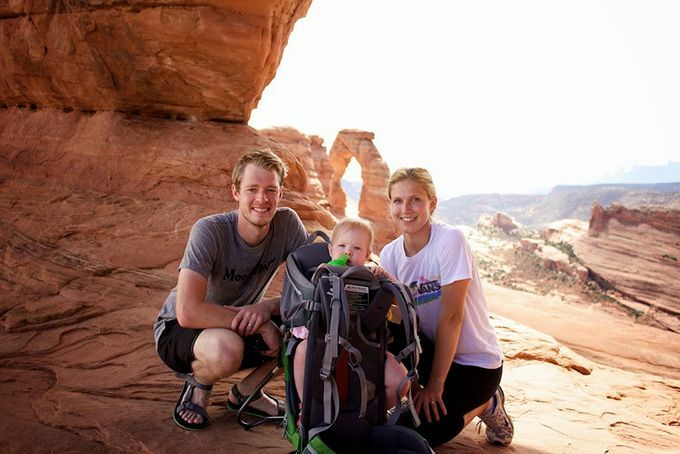 One of the reasons we love Utah is the low cost of living. Saving was much more difficult when we were living in places like NYC. Also, if you happen to love the great outdoors and hiking, biking, running, Utah can’t be beat! If you need life insurance, I’m your guy! No, seriously. Would love to give you guys some options (yes I know it’s weird, considering we’re not even facebook friends), but hey, I follow you, I comment, you follow me on instagram. Why not? HA. That’s right. We’d love to hear more! Thanks, Joshua! I too want to know the secret of the $30 car insurance?! I know you are a 1 car family, but WOW do tell! We have pretty minimal car insurance since Johnny just walks to work, but he’ll be doing a post with more details soon! Jealous of your car insurance! We pay $650 for 2 vehicles for 6 months. Also, very impressive goal of saving 50% if income! Keep up the good work! Personal spending $ is so nice to do especially if one parent stays at home. When we had that category in the budget ($10-20 per month) I never felt guilty about spending money on myself for a coffee out etc. July was a bad budget month for us with my grandfather being diagnosed with end stage cancer and passing all in the month of July:( so we had a lot of 2 hr drives to our hometown which translated into a lot of $$ spent on gas and food…but totally worth going over the budget to spend time with him and the rest of my family. We also blew the baby budget. However, we are stocked for 1-2 months of our 3 months old diapers and stocked for this month on 2 year olds diapers but will need to buy some more pull ups (potty training is going sooo slow!) so I’m thinking we can make up for the overage from last month by not needing diapers this month. I was soooo happy for budget reset on August 1. No kidding, girl. I was counting down the days until August 1st for that very reason. I’m so sorry to hear about your Grandpa… glad you guys lived close enough to spend time with him. That time was priceless, and it sounds like you’ll be able to make up the cost, which is even better. We recently set up a trust to avoid this problem. This way, the life insurance money would be accessible to the guardians we appointed for him, so that they would have money to pay for his maintenance and education. A post about estate planning for parents would be really, really awesome. When we were doing all of this, we were surprised by how many of our friends with young children do not have anything at all in place. I know people prefer not to think about this, but it is so important. My nephews dad died without a will about two years ago and we are still sorting all of that mess out. Thanks for the tips, Tarynkay! We’ve done a decent amount of research about what life insurance we’re planning to get, but we haven’t looked into trust funds. It sounds like that’s essential. Once we have all of our research done, we’ll do a post on all of it! Okay, fess up. 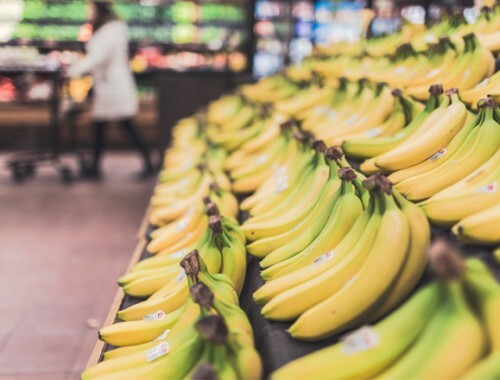 How DO you keep your food costs so low, even with eating out? Also, do you just have one car? That is really low insurance! Our meals are pretty simple… breakfast is usually cereal, and lunch is usually a homemade sandwich. Dinner is our only more complex meal… and I try to plan those meals in advance. But if I don’t keep track, it’s super easy to go over on food! Johnny will be doing a post on our car insurance soon! Gentle question-When did the rent get so expensive in Utah?? Your budget rocks though! 1. My office is a five-minute walk away from our front door. That means I can come home for lunch and Joanna/Sally can visit me whenever they please. Biggest perk by far. 2. My proximity to work plus grocery and everything else we need means we can stay a one-car family. And that saves us on car, gas, and insurance. 3. We’re a ten minute walk from a gorgeous canyon with hikes and sights galore. 4. Our condo offers the space and amenities we didn’t have while we were cooped up in NYC and Boston. I needed to go through that exercise to see if I still believed it was a worthy splurge. And I do. Thanks for the question. I can’t stop giggling over $30 auto insurance.. I just, what? I don’t even know how that is possible. I’m 100% positive that it’s not possible in Florida – the number of uninsured motorists in this state is out of control; not to mention we live in a flood zone, which contrary to what some people believe, does jack up our rates. Man.. $30. I wish. I rarely ever read all the comments people leave, but I’m glad I read these.. I had no idea a minor couldn’t be the beneficiary of a life insurance policy. We are in the process of getting life insurance, and were obviously planning on naming our daughter. I hope our agent would have told us, but I’m sure glad I read that here. States play a large part in pricing. But I will also be updating our policy in the next week or so and I’m looking at adding a few coverage options we were short on before, but I’m thinking it will still be in the $40-$45 dollar range. Stay tuned for a post on that. Count me as another surprised person about the minor beneficiary thing. Our favorite part about doing our blog is the comments. So much wisdom in this section. I’m going to need to do some research on Google Fiber!